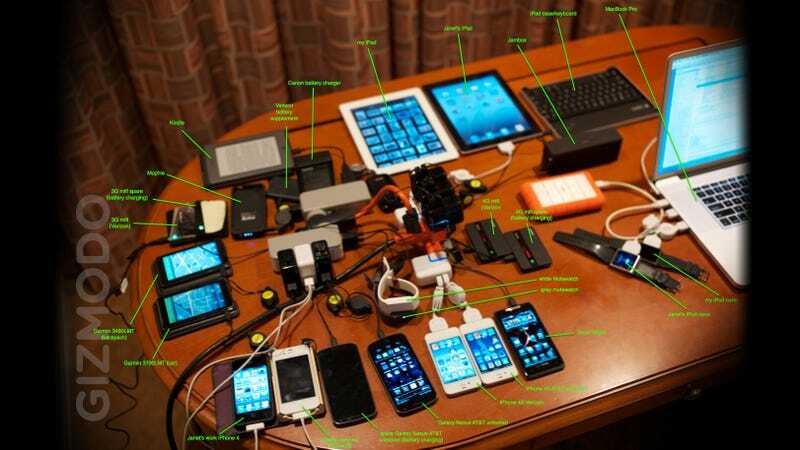 Some mornings I open my email and I receive something incredible like this: the awesome contents of Steve Wozniak's backpack. What you see above (click to expand) is just his charging setup—there's even more! Here's Woz to explain it himself—J. You might think this is abnormal for me but, to the contrary, it's customary. I usually say that my backpack weighs 50 pounds. I'm not sure but I have to carry it every step through airports. I'm sure that I'm shorter now than before and I don't walk as fast. Everything has its place in my backpack. Steve is answering your questions here, so go ask him.